VeeCreate: Mega Walk-in Drive for Talented RC Detailers at Chennai. 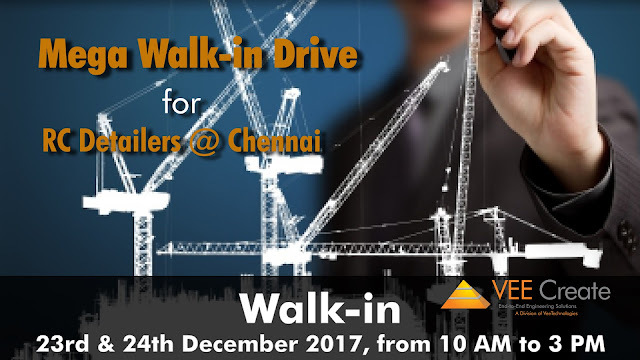 Mega Walk-in Drive for Talented RC Detailers at Chennai. Are you a talented RC Detailer with a background in civil engineering and 2-8 years of experience? Walk into our mega drive and walk out with a life-changing job opportunity!